Cecilia Galante's adult debut about the bonds of female friendship. Thrown together by chance as teenagers at Turning Winds Home for Girls, Nora, Ozzie, Monica, and Grace quickly bond over their troubled pasts and form their own family which they dub The Invisibles. But when tragedy strikes after graduation, Nora is left to deal with the horrifying aftermath alone as the other three girls leave home and don”t look back. Fourteen years later, Nora is living a quiet, single life working in the local library. She is content to focus on her collection of “first lines” (her favorite opening lines from novels) and her dog, Alice Walker, when out-of-the-blue Ozzie calls her on her thirty-second birthday. But after all these years, Ozzie hasn”t called her to wish a happy birthday. Instead, she tells Nora that Grace attempted suicide and is pleading for The Invisibles to convene again. Nora is torn: she is thrilled at the thought of being in touch with her friends, and yet she is hesitant at seeing these women after such a long and silent period of time. Bolstered by her friends at the library, Nora joins The Invisibles in Chicago for a reunion that sets off an extraordinary chain of events that will change each of their lives forever. 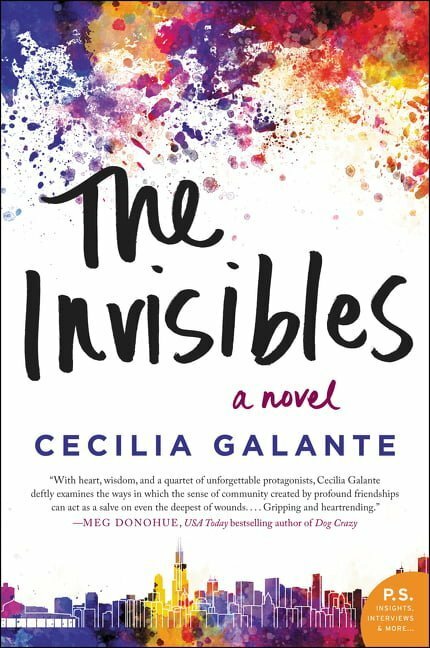 In the vein of Meg Donohue and Jennifer Close, comes Cecilia Galante”s adult debut about the complicated and powerful bonds of female friendship-a compelling, moving novel that is told in both the present and the past. 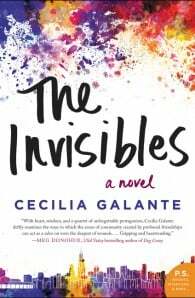 The Invisibles is an unforgettable novel that asks the questions: How much of our pasts define our present selves And what does it take to let go of some of our most painful wounds and move on. Cecilia Galante is the author of three young adult novels, three middle-grade books, and a children's chapter-book series. She is the recipient of many awards, including a NAIBA Book of the Year and an Oprah's Teen Read Selection for her first novel, The Patron Saint of Butterflies. Her books have been translated into Japanese, Turkish, and Polish.